Get to a better you. 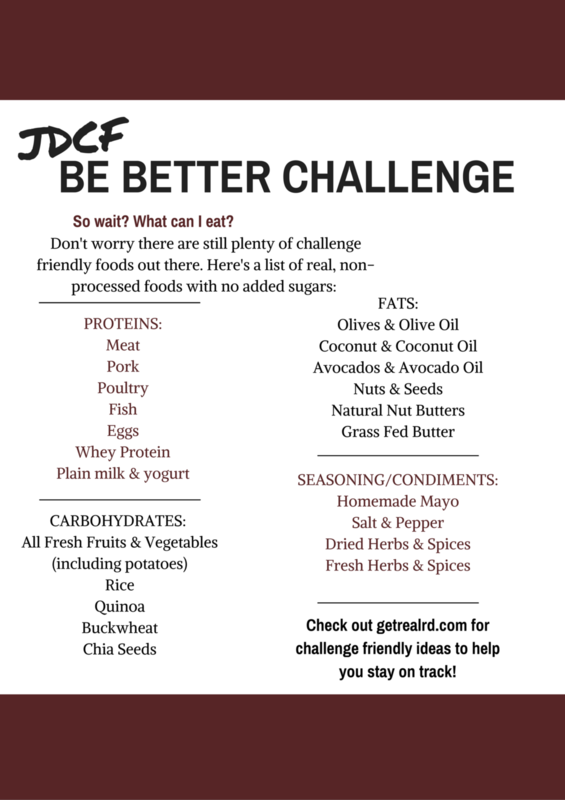 To Jersey Devil CrossFit's Be Better Challenge! Let's make a few simple healthy choices, get even more fit, & have fun doing it together. This page is where you can log your progress, check back in with the rules and challenge deets whenever you need, & keep an eye on the leaderboard. This is the date of the day you're logging. You’re getting better everyday! Keep it up!